We do Lost Wax Casting in 10K, 14K, 18K (yellow, white, rose, green) gold and sterling silver, platinum. All our work has a fast turnaround at competitive prices. Quality is our main concern. No piece leaves our service center without going through our rigorous quality control department. Whether it's a one of a kind, one piece special order or production of thousands of pieces from filigree to buckles, consult with us so that we may provide you with the best castings. Jewelry Casting is a manufacturing process whereby a liquid material is usually poured into a mold, which contains a hollow cavity of a desired shape, and then allowed to solidify. The solidified part is also known as a casting, which is ejected or broken out of the mold to finish the process. Lost Wax Casting materials are usually precious metals. Precious metals Casting is most often used for making complex shapes that would be otherwise difficult or uneconomical to make by other methods. We provide reduced time and cost for jewelry designers and their clients with state-of-the-art technology. 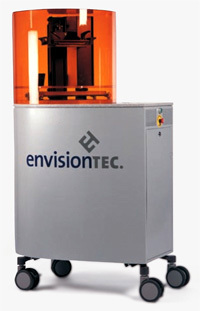 Our machines build wax models from computer files using thermoplastics that are perfect components for investment jewelry casting. Our technicians utilize all file types compatible with any CAM device, which allows us to quickly generate a precise wax model ready for jewelry lost wax casting.